Ryan J. Thompson, MD et al. 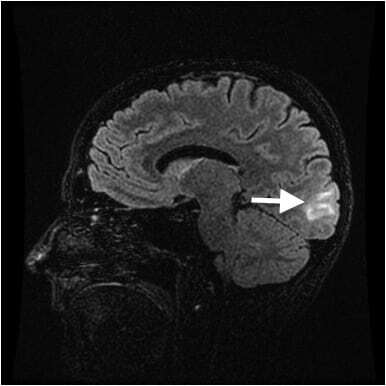 Posterior Reversible Encephalopathy Syndrome (PRES) often has variable presentations and causes, with common radiographic features—namely posterior white matter changes on magnetic resonance (MRI). As MRI becomes a more frequently utilized imaging modality in the Emergency Department, PRES will become an entity that the Emergency Physician must be aware of and be able to diagnose. Katherine Harter, MD et al. Historically, most patients who required parenteral anticoagulation received heparin, whereas those patients requiring oral anticoagulation received warfarin. Due to the narrow therapeutic index and need for frequent laboratory monitoring associated with warfarin, there has been a desire to develop newer, more effective anticoagulants. 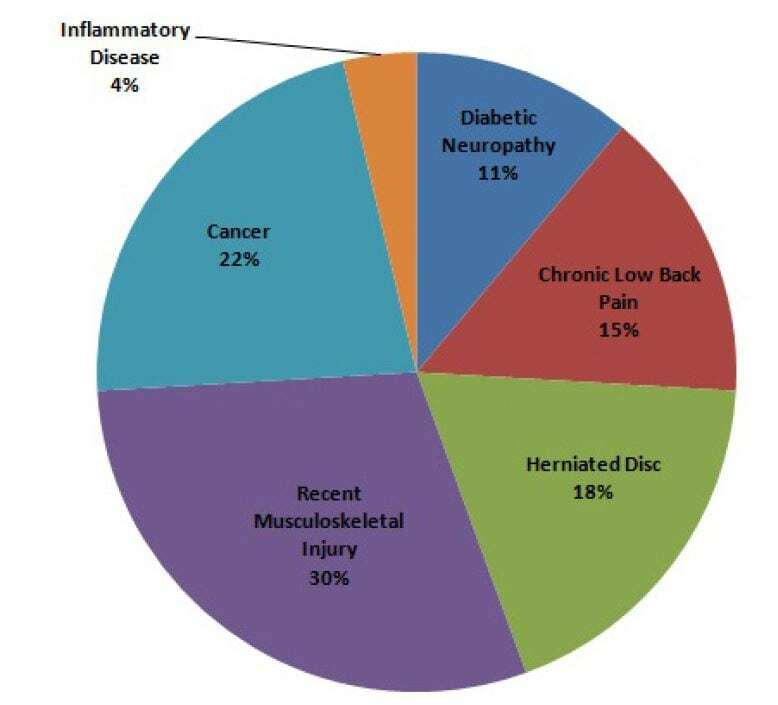 Scott G. Weiner, MD, MPH et al. Tablet computer-based screening may have the potential for detecting patients at risk for opioid abuse in the emergency department (ED). 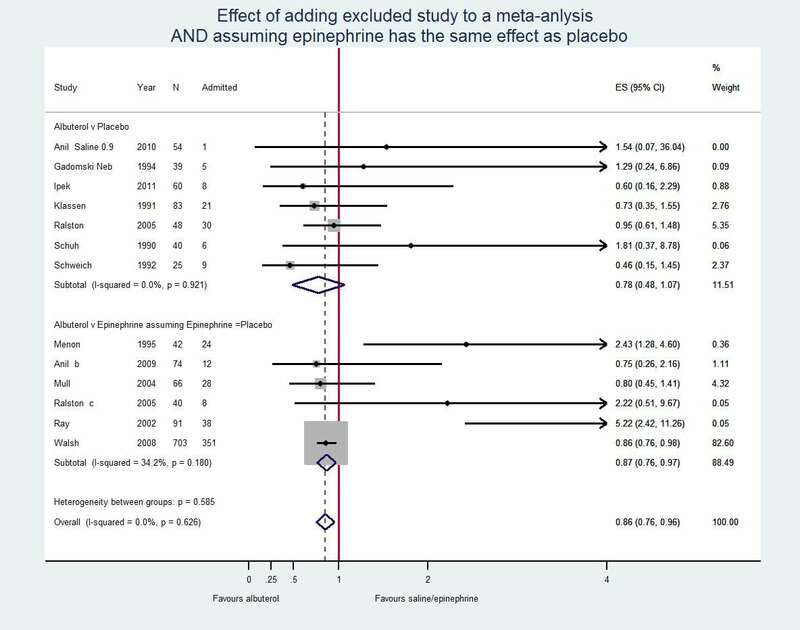 Study objectives were a) to determine if the revised Screener and Opioid Assessment for Patients with Pain (SOAPP®-R), a 24-question previously paper-based screening tool for opioid abuse potential, could be administered on a tablet computer to an ED patient population; b) to demonstrate that >90% of patients can complete the electronic screener without assistance in <5 minutes and; c) to determine patient ease of use with screening on a tablet computer. Brian T. Taylor, DO et al. Several studies have attempted to demonstrate that the Thrombolysis in Myocardial Infarction (TIMI) risk score has the ability to risk stratify emergency department (ED) patients with potential acute coronary syndromes (ACS). Most of the studies we reviewed relied on trained research investigators to determine TIMI risk scores rather than ED providers functioning in their normal work capacity. Calvin E. Hwang, MD et al. Mandated patient surveys have become an integral part of Medicare remuneration, putting hundreds of millions of dollars in funding at risk. The Centers for Medicare & Medicaid Services (CMS) recently announced a patient experience survey for the emergency department (ED). Christopher Houston, MD et al. The Centers for Medicare and Medicaid Services (CMS) requires reporting of multiple time-sensitive metrics. Most facilities use triage time as the time of arrival. 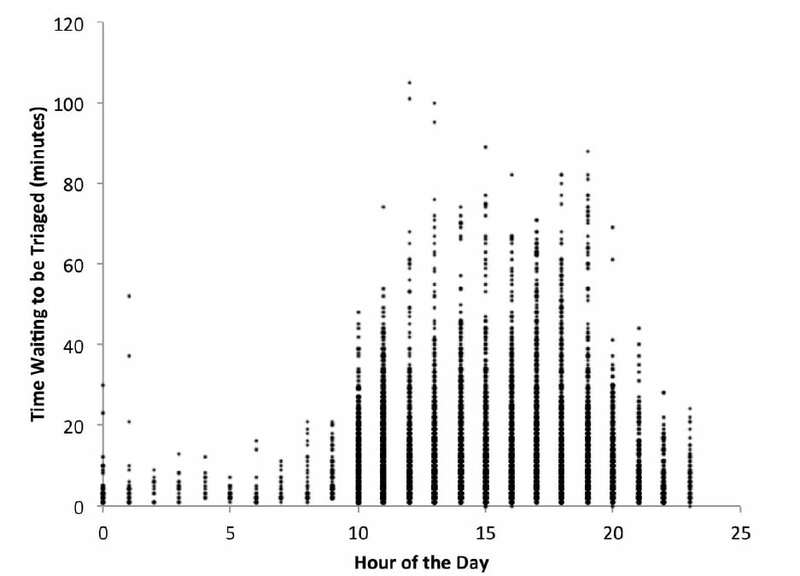 Little is known about how long patients wait prior to triage. As reimbursement to the hospital may be tied to these metrics, it is essential to accurately record the time of arrival. Evaluation recommendations for patients on anticoagulant and antiplatelet (ACAP) therapy that present after mild traumatic brain injury (TBI) are controversial. At our institution, an initial noncontrast head computed tomography (HCT) is performed, with a subsequent HCT performed six hours later to exclude delayed intracranial hemorrhage (ICH). Leana S. Wen, MD, MSc et al. Understanding the cause of patients’ symptoms often requires identifying a pathological diagnosis. 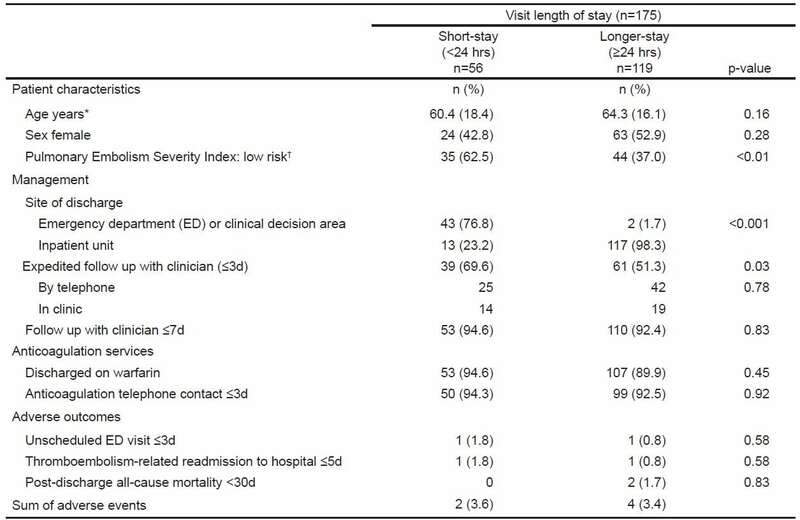 A single-center study found that many patients discharged from the emergency department (ED) do not receive a pathological diagnosis. David R. Vinson, MD et al. Historically, emergency department (ED) patients with pulmonary embolism (PE) have been admitted for several days of inpatient care. 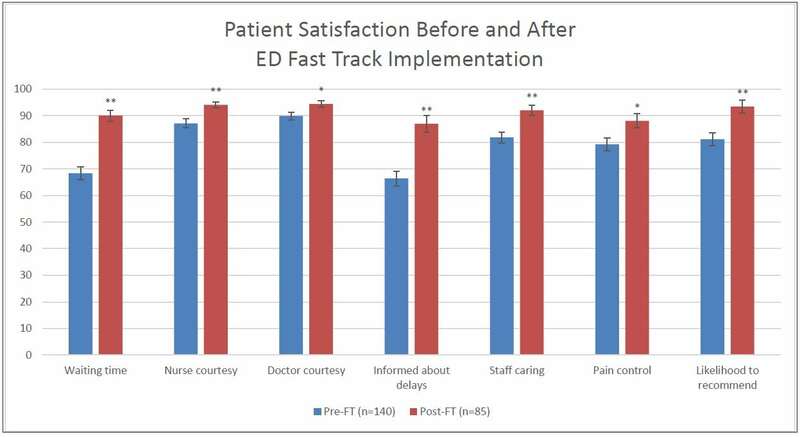 Growing evidence suggests that selected ED patients with PE can be safely discharged home after a short length of stay. Lyncean Ung, DO et al. Controlled prescription opioid use is perceived as a national problem attributed to all specialties. Christopher A. Griggs, MD, MPH et al. Prescription drug abuse is a leading cause of accidental death in the United States. Prescription drug monitoring programs (PDMPs) are a popular initiative among policy makers and a key tool to combat the prescription drug epidemic. This editorial discusses the limitations of PDMPs, future approaches needed to improve the effectiveness of PDMPs, and other approaches essential to curbing the rise of drug abuse and overdose. Ryan K. Misek, DO et al. The emergency psychiatric care is system is overburdened in the United States. Patients experiencing psychiatric emergencies often require resources not available at the initial treating facility and frequently require transfer to an appropriate psychiatric facility. Uzor C. Ogbu, MD, PhD et al. The Centers for Disease Control and Prevention (CDC) has published significant data trends related to substance abuse involving opioid pain relievers (OPR), benzodiazepines and alcohol in the United States. The CDC describes opioid misuse and abuse as an epidemic, with the use of OPR surpassing that of illicit drugs. Glenn W. Currier, MD, MPH et al. Our goal was to explore whether emergency department (ED) patients would disclose their sexual orientation in a research evaluation and to examine demographic and clinical characteristics of patients by self-identified sexual orientation. David A. Talan, MD et al. Emergency department (ED) hospitalizations for skin and soft tissue infection (SSTI) have increased, while concern for costs has grown and outpatient parenteral antibiotic options have expanded. 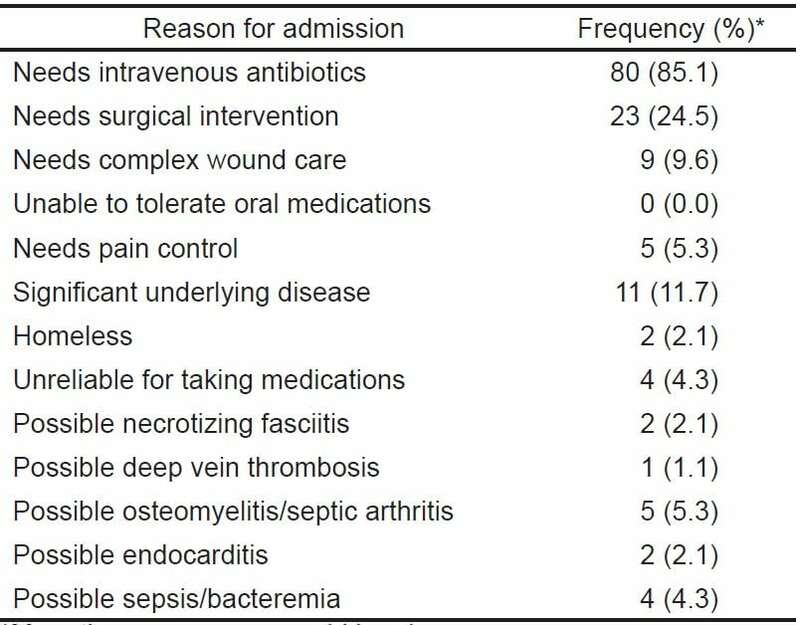 To identify opportunities to reduce admissions, we explored factors that influence the decision to hospitalize an ED patient with a SSTI. Mark Faul, PhD, MA et al. The most effective use of trauma center resources helps reduce morbidity and mortality, while saving costs. Identifying critical infrastructure characteristics, patient characteristics and staffing components of a trauma center associated with the proportion of patients needing major trauma care will help planners create better systems for patient care. Robyn M. Hoelle, MD et al. Practitioners need more information about intimate partner violence (IPV) victims’ healthcare use trends. We used a novel data-linkage method and complaint categorization allowing us to evaluate IPV victims healthcare use trends compared to the date of their victimization. Paul Walsh, MD, MSc et al. The American Academy of Pediatrics (AAP) 2014 Bronchiolitis guidelines (the guidelines) were recently published in the official journal of the AAP, Pediatrics. The committee that wrote the guidelines anticipates that these will form the basis of bronchiolitis treatment throughout the house of medicine, not just in pediatricians’ offices. Joshua Wallenstein, MD et al. Evaluation of emergency medicine (EM) learners based on observed performance in the emergency department (ED) is limited by factors such as reproducibility and patient safety. EM educators depend on standardized and reproducible assessments such as the objective structured clinical examination (OSCE). Kyle Lacy, MD, MS et al. Traumatic dislocations of the shoulder commonly present to emergency departments (EDs). Immediate closed reduction of both anterior and posterior glenohumeral dislocations is recommended and is frequently performed in the ED. H. Gene Hern, Jr., MD, MS et al. Ali Pourmand, MD et al. Asynchronous online training has become an increasingly popular educational format in the new era of technology-based professional development. We sought to evaluate the impact of an online asynchronous training module on the ability of medical students and emergency medicine (EM) residents to detect electrocardiogram (ECG) abnormalities of an acute myocardial infarction (AMI). Katherine Hiller, MD, MPH et al. Since 2011 two online, validated exams for fourth-year emergency medicine (EM) students have been available (National EM M4 Exams). In 2013 the National Board of Medical Examiners offered the Advanced Clinical Examination in Emergency Medicine (EM-ACE). Kiah Connolly, MD et al. Our objective was to evaluate the effectiveness of hands-on training at a bedside ultrasound (US) symposium (“Ultrafest”) to improve both clinical knowledge and image acquisition skills of medical students. 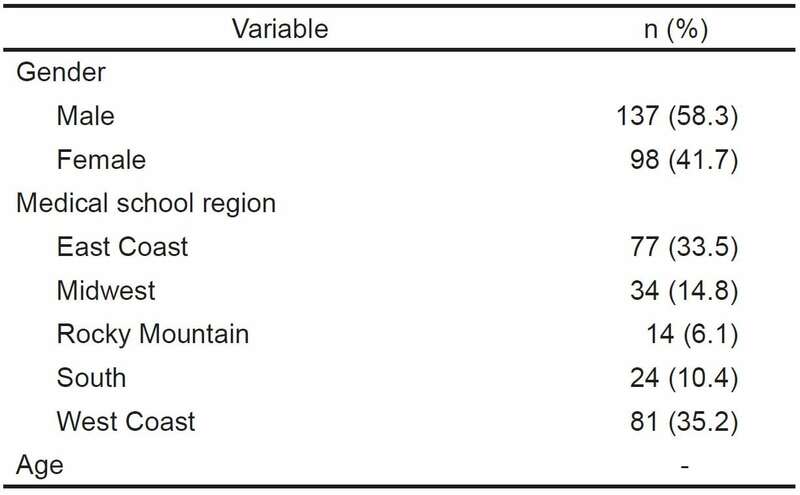 Primary outcome measure was improvement in multiple choice questions on pulmonary or Focused Assessment with Sonography in Trauma (FAST) US knowledge. 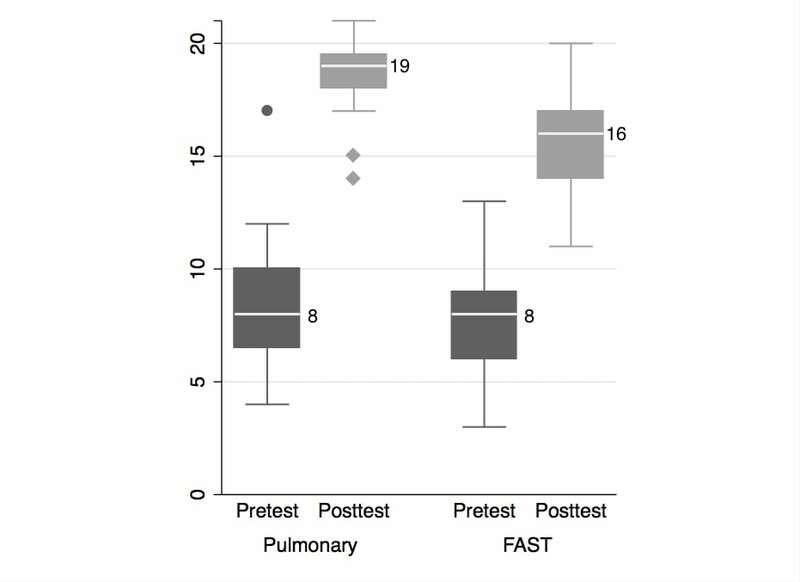 Secondary outcome was improvement in image acquisition for either pulmonary or FAST. Stephanie Spring, DO et al. 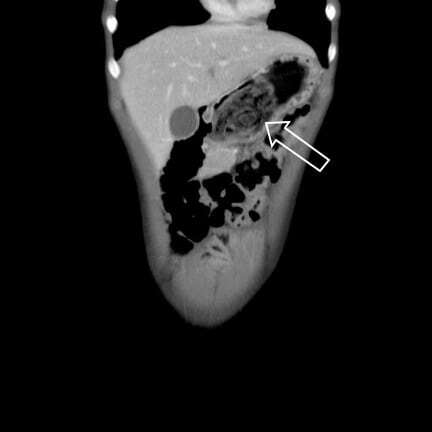 A 13-year old female patient presented to the emergency department (ED) with four days of intermittent non-radiating, left upper quadrant pain, associated with non-bloody, non-bilious emesis and decreased appetite. 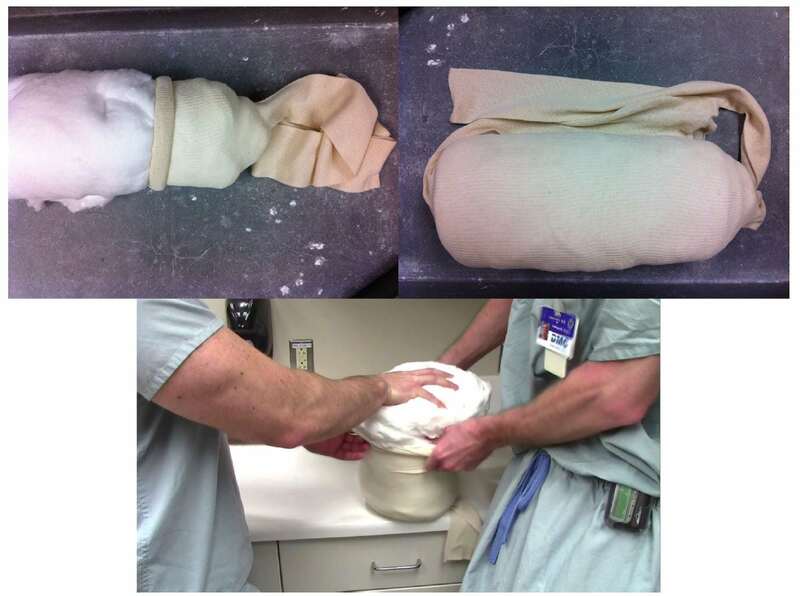 The patient had been evaluated by a gastroenterologist three months prior for abdominal pain. Numerous mandibular pathologies are diagnosed in the emergency department (ED). 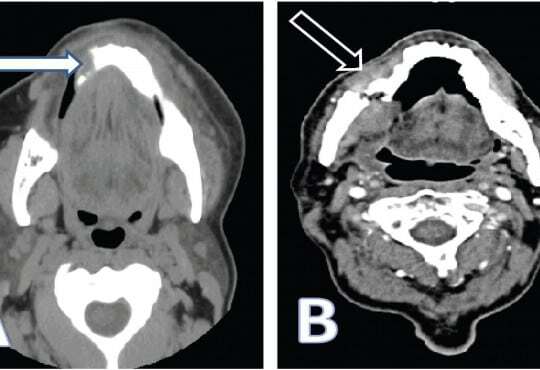 We present the case of a woman with severe right-sided mandibular pain who was found to have a pathological fracture and osteonecrosis of the jaw (ONJ).